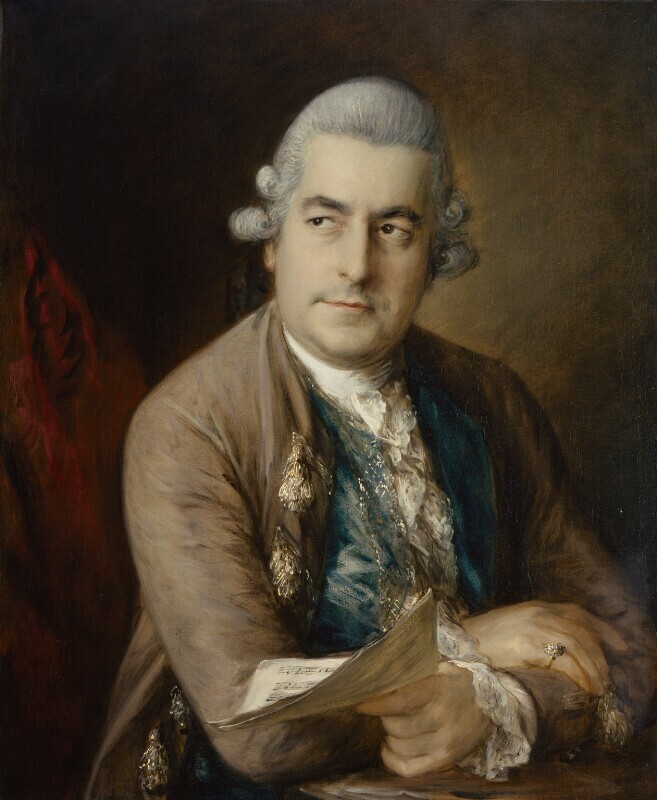 Johann Christian Bach (1735-1782), Composer. Sitter in 3 portraits. Bach chose his close friend Gainsborough to paint his portrait for the gallery of famous musicians being formed by his master, Padre Martini, at Bologna; this second version may have been painted for Bach himself. Tahitian visitor to London Omai returns home with Captain James Cook on his third voyage. During his two-year stay he inspired a play and was painted by Joshua Reynolds. Member of Parliament David Hartley unsuccessfully introduces a motion to the House of Commons calling for the abolition of the slave trade. Edward Gibbon produces the first volume of his monumental The Decline and Fall of the Roman Empire. Artist John Constable is born. Scottish economist Adam Smith analyses the nature and causes of prosperity in his magnum opus The Wealth of Nations. American War of Independence: George Washington raises a new American flag on Prospect Hill, Boston. In an anonymous pamphlet entitled Common Sense, English immigrant Thomas Paine is the first to argue that the American colonies should be independent. Declaration of American Independence on 4 July.